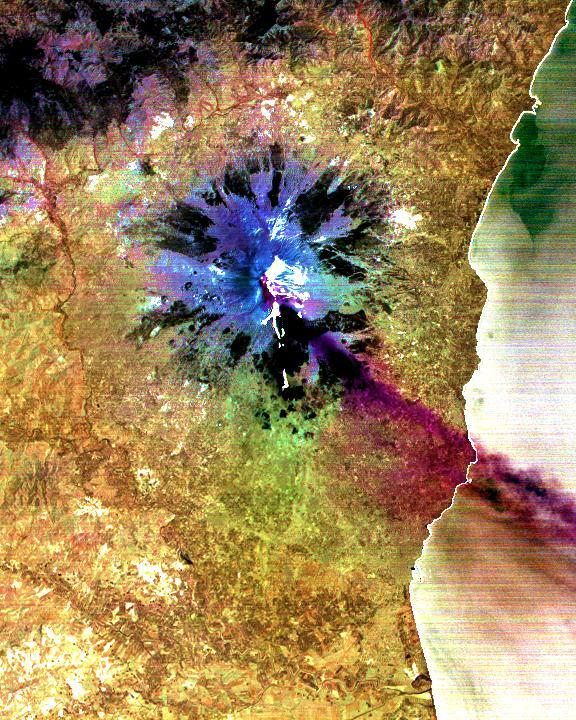 This ASTER image was acquired on Sunday, July 29 and shows the sulfur dioxide plume (in purple) originating form the summit, drifting over the city of Catania, and continuing over the Ionian Sea. 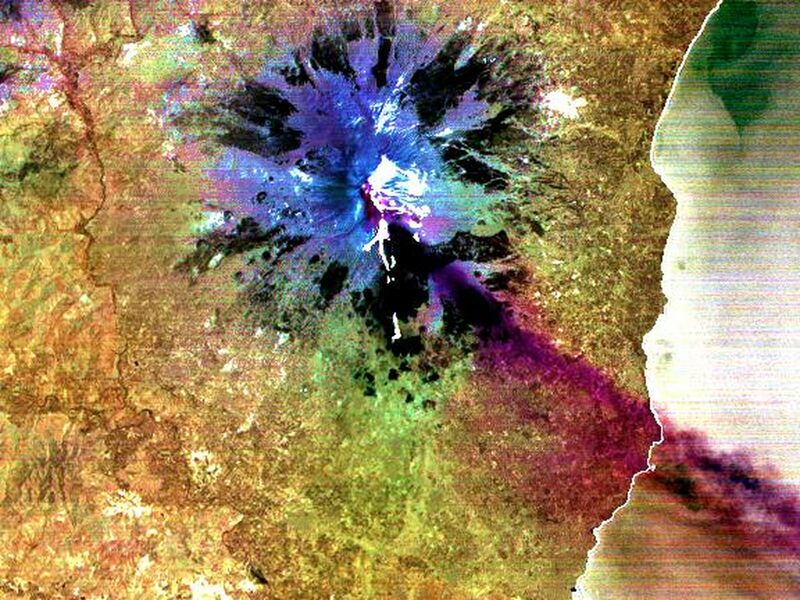 ASTER's unique combination of multiple thermal infrared channels and high spatial resolution allows the determination of the thickness and position of the SO2 plume. The image covers an area of 24 x 30 km. The image is centered at 37.7 degrees north latitude, 15 degrees east longitude. 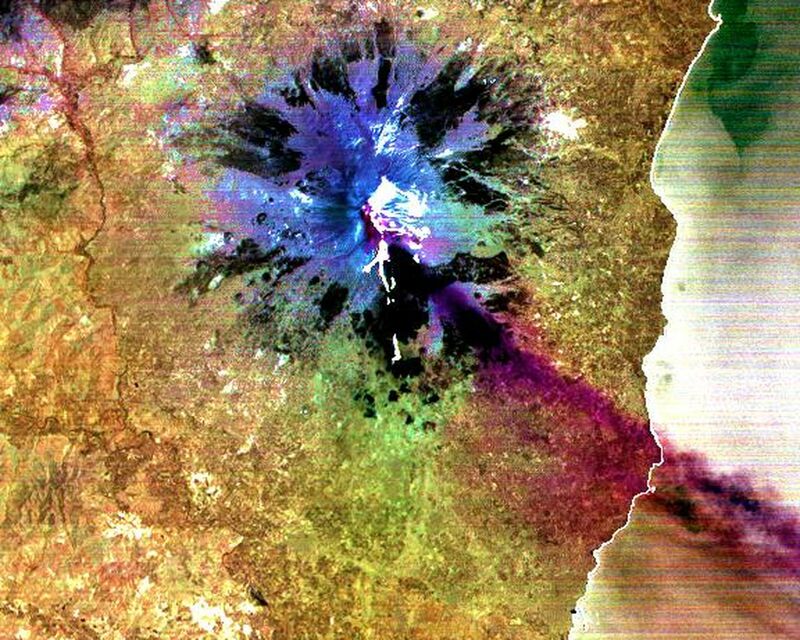 Advanced Spaceborne Thermal Emission and Reflection Radiometer (ASTER) is one of five Earth-observing instruments launched December 18, 1999, on NASA's Terra satellite. The instrument was built by Japan's Ministry of International Trade and Industry. A joint U.S./Japan science team is responsible for validation and calibration of the instrument and the data products. Dr. Anne Kahle at NASA's Jet Propulsion Laboratory, Pasadena, California, is the U.S. science team leader; Moshe Pniel of JPL is the project manager. ASTER is the only high-resolution imaging sensor on Terra. The primary goal of the ASTER mission is to obtain high-resolution image data in 14 channels over the entire land surface, as well as black and white stereo images. With revisit time of between 4 and 16 days, ASTER will provide the capability for repeat coverage of changing areas on Earth's surface. 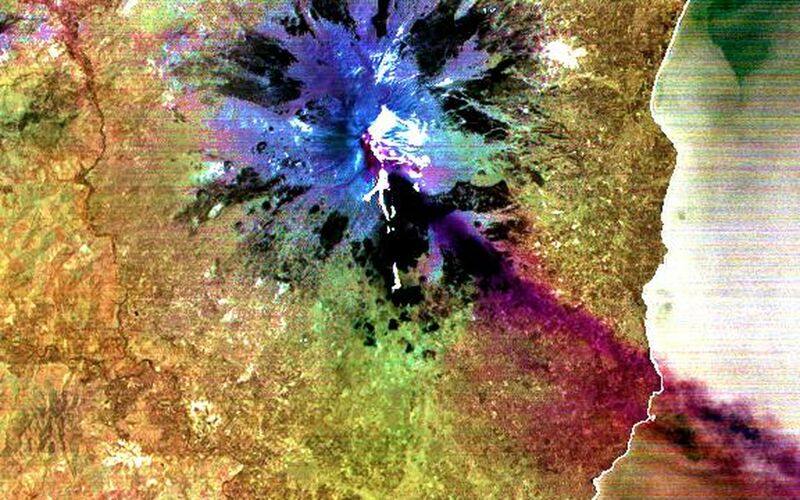 The broad spectral coverage and high spectral resolution of ASTER will provide scientists in numerous disciplines with critical information for surface mapping and monitoring dynamic conditions and temporal change. Examples of applications include monitoring glacial advances and retreats, potentially active volcanoes, thermal pollution, and coral reef degradation; identifying crop stress; determining cloud morphology and physical properties; evaluating wetlands; mapping surface temperature of soils and geology; and measuring surface heat balance.